Bird baths provide a welcoming spot for birds to stop and refresh themselves, and adds beauty to your backyard retreat. A heated bird bath - or a bird bath with a heater - will keep keep the water thawed and ready to drink or bath in year round. 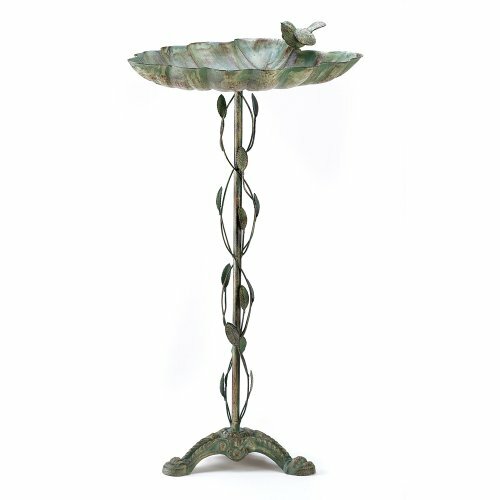 A small bird is perched on the site of this stylish copper finish bird bath. 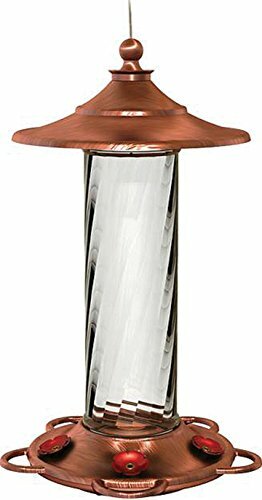 Made of copper plated stainless steel with antique finish. 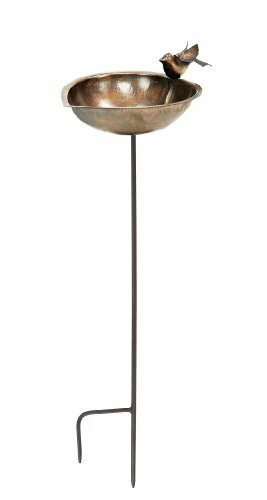 Size: Bowl measures 9"W x 9"D x 3 1/2"H'; iron stake is 36"
Copper Cat with Cardinal Bird Bistro is a functional Bird Feeder. Handcrafted and hand finished. Sturdy metal parts. Roof and drainage holes in dish help to keep the seed dry. Charming garden decor even if you forget to replenish the seed. Balanced at the edge of a broad green leaf, a sparrow lifts his voice in a joyous springtime song. 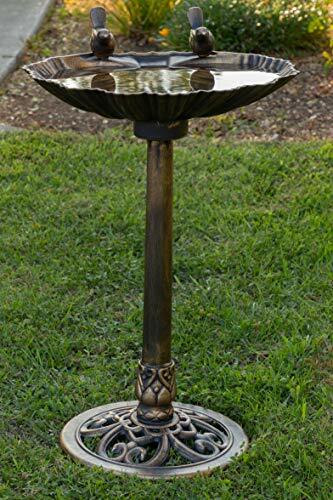 Distressed finish gives this handsome metalwork birdbath the appearance of a well-weathered antique. 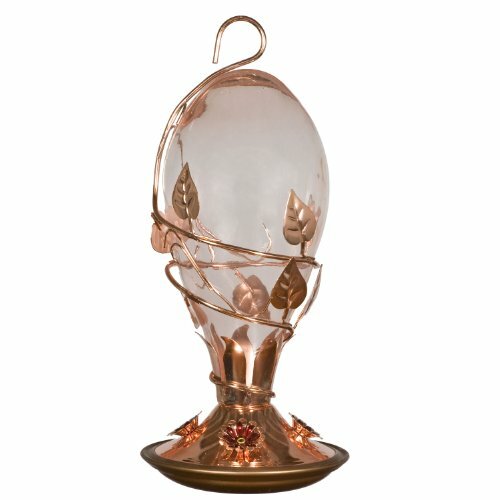 An enchanting garden decoration that serves as a welcome watering stop for thirsty birds. Cast iron and wrought iron. 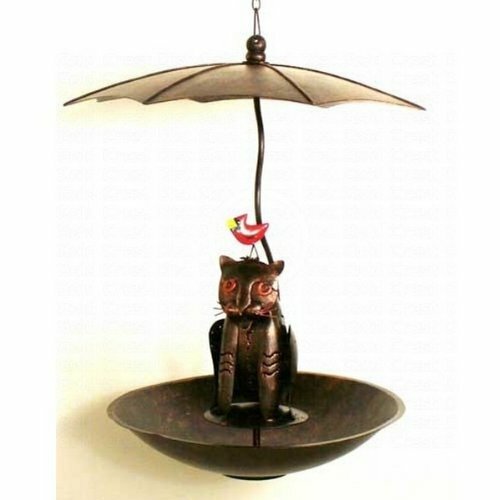 Size: 14-3/4-inch x 12 1/4-inch x 27-1/2-inch high. 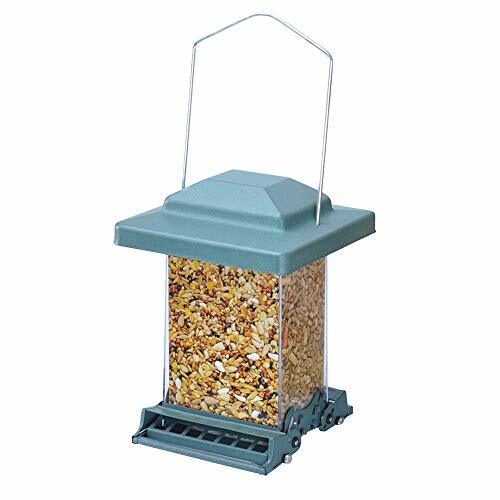 This brightly painted red cast iron feeder is ideal suet, seeds or water. 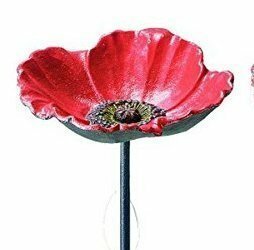 The metal stake allows for positioning in flower borders or lawns.